And yes! It's Marinduque. Oh, if you're wondering, I just did a solo travel a few weeks ago. And so I chose to go to Marinduque. I didn't have time to do a thorough research but I read Kim's (of Kimviajera) Marinduque trip and made it as my guide on how to go around the province. 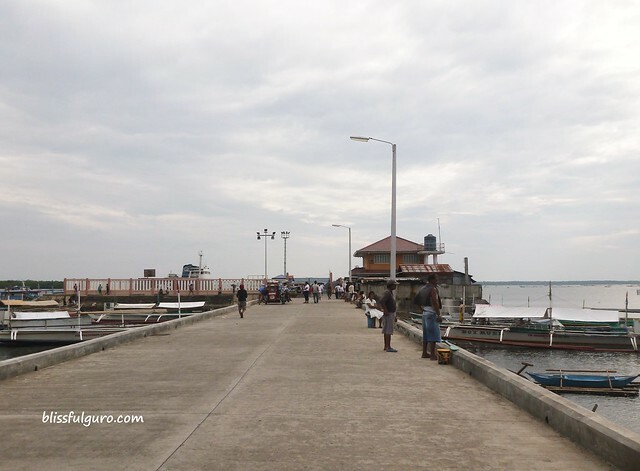 To get to Marinduque province you can commute via bus and RORO or take your own ride and bring it to the province via RORO in Dalahican port, Lucena city. For me, the best option was to commute via bus. I also have two options in commuting. It's either I ride a bus going to Lucena's Dalahican port and then ride the RORO ferry and then ride a van or jeepney in Marinduque or I could catch the direct JAC Liner bus to Marinduque which would lessen all the hassle. That bus will also get inside the RORO but all the fares will be included in just one payment only. So I was at the JAC Liner Kamuning terminal at around 5:45 p.m. (it's just across the GMA - 7 station). My target was to get into the bus that goes directly to Marinduque. I asked a guard and he said that the bus left 20 minutes ago. So he instructed me to wait for a bus that goes straight to Dalahican port. There was only 1 queue for all Quezon-bound buses and just because it was the day before the 4-day long weekend, there were many passengers waiting for buses. At around 6:30 p.m., I boarded the Lucena-Dalahican port bus and off we went for my first ever solo trip. The fare should've been 227.50 pesos but I paid only 182 pesos because of my student ID. Good thing they consider M.A. students as "students". Up until I boarded the bus I was thinking of quitting the solo travel thing. I've never been to Marinduque and I don't know any soul that was from the province so there was really a panic attack going on inside me. Good thing the JAC Liner bus has a wi-fi that kept me busy reading some info about the province on board. 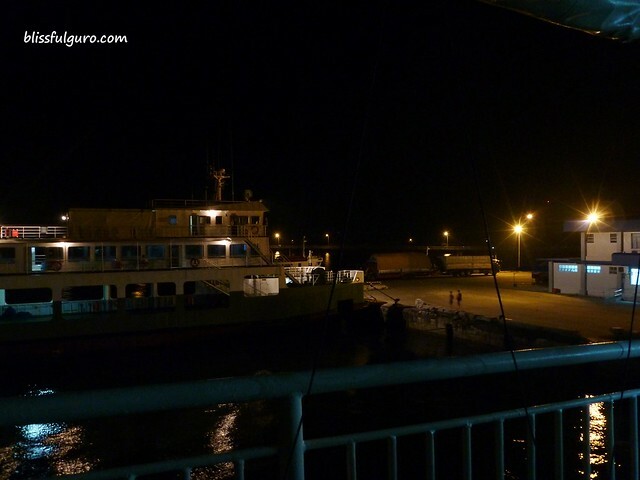 At around 11:35 pm., we arrived at the Dalahican port in Lucena. There were lots of porters who were scurrying over the passengers to "assist" on RORO. They offered van transfers around Marinduque and other stuff. I didn't bother anyone of them and went on to the counter to inquire. There are 3 major ports in Marinduque; the Cawit port in Boac town, the Buyabod port in Sta.Cruz town and the Balanacan port in Mogpog town. I needed to go to Maniwaya island in Sta.Cruz so I targeted the Buyabod port but they said that there will be no ferries going to Buyabod port at that time. My option was to ride the 12 midnight Cawit port-bound ferry or the 4 a.m. Balanacan port-bound ferry. 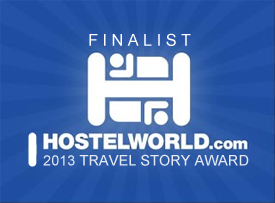 I chose the latter because I wouldn't know what to do in Boac when I arrive there at 3:00 a.m. I paid 24 pesos student's fare for terminal fee (regular fee 30 pesos). And then I bought a ticket for the Montenegro Shipping Lines and paid 221 pesos student's fare (regular fee 260 pesos). I went into the terminal/waiting area and there were many people waiting inside. 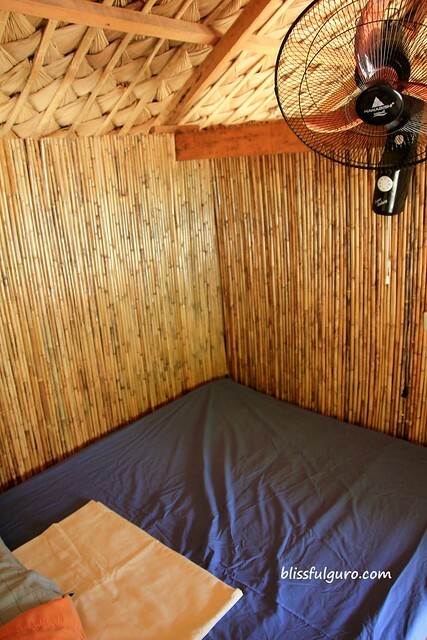 There were some food stalls and other shops who offer sleeping cots for 40 pesos. I opted to sleep in a chair somewhere. And then it was time for us to board the ferry. I was in awe when I saw how people scrambled to get inside the ferry. I mean, what's the rush guys? And when I got inside and went to the upper decks I clearly got the point of rushing. It was to get the perfect spot for the 3-hour ride. There were people in their hammocks that were tied on side railings, people sleeping on their sleeping bags and some were in the benches. I sat somewhere and slept throughout the trip. I was welcomed with a nice, morning breeze of Marinduque. We arrived at around 7:00 a.m. and as we were getting near the Balanacan port, people were starting to scramble again. And I joined them. This time, we all want to get into the vans and jeepneys waiting outside the port. I went into a van and paid 80 pesos to bring me to Sta.Cruz town - the jump-off point to Maniwaya island (have you heard of that island before?). And after about an hour, I was already in Sta.Cruz and asked around on how to go to Buyabod port. I rode a tricycle and paid 25 pesos for the ride. There were 6 persons and lots of stuff inside the tricycle. They would really squeeze everything inside. After 15 minutes, we were at the Buyabod port. People there were telling me that the passenger boat going to Maniwaya will leave at around 10:30-11:00 a.m. No definite time. 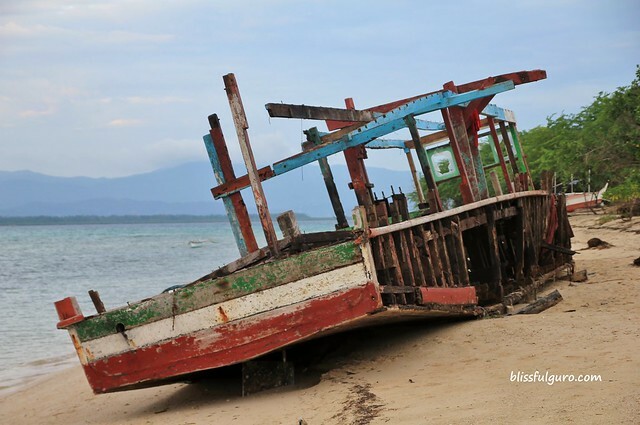 As long as the locals of the island were done with their errands around town then the boat will leave. It is the only boat for that day. If you want to do just a daytrip on the island, you have to rent a boat on the port. And then I waited again in an eatery. I had some breakfast and chatted with the locals. They were asking me stuff like; if I knew someone from the island or why am I traveling alone. It's such a nice feeling to chat with them and how they were concerned about the flood that just hit Manila few weeks earlier. 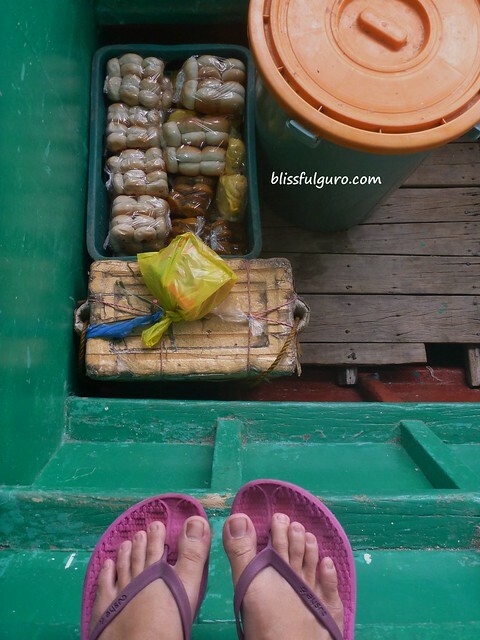 And then after about 3 hours of non-stop chitchatting with the locals, I boarded the boat. And I must say that it is a very unique boat. It was so deep and they fill it up with produce and other stuff that they will be selling at the island. I paid 50 pesos for the boat ride. how deep is your (love) boat? 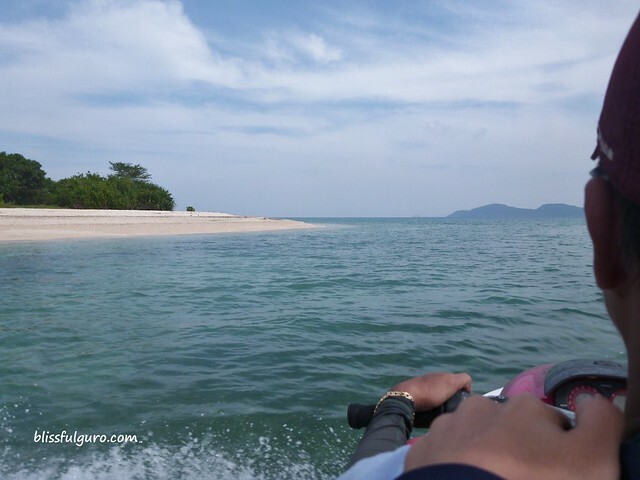 After about 25 minutes, I was already in Maniwaya island. Almost 19 hours on the road - solo - and I reached my first point of interest in Marinduque. 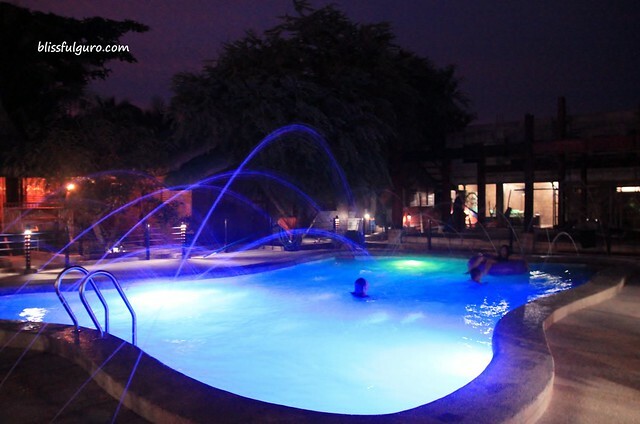 People there directed me to Residencia De Palo Maria Resort. 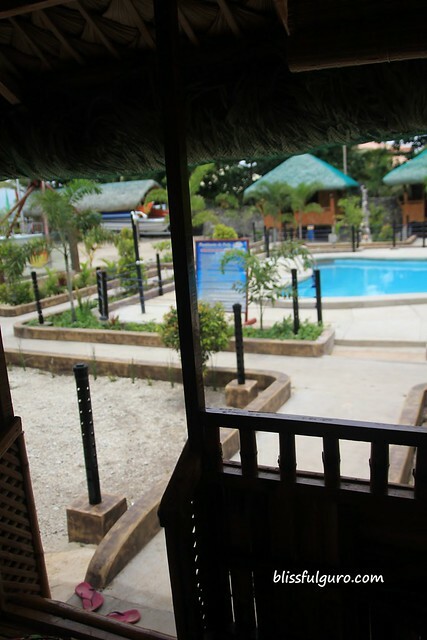 It's a relatively new resort that opened last April 2012. 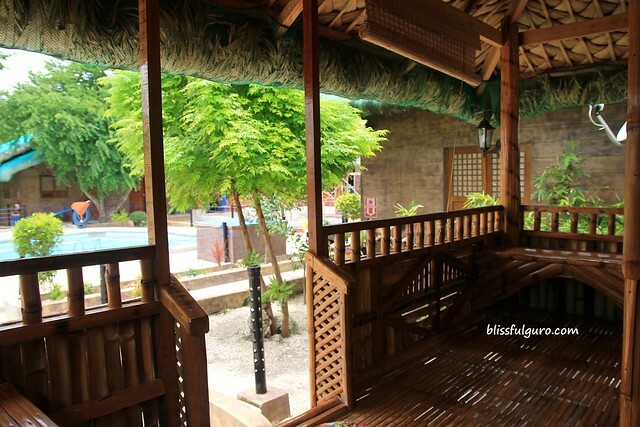 Inclusion: W/ Aircon, Private toilet and bath, kitchen, TV w/ Cable and Ref. Sir Clarence toured me around the resort. He was with his family that time because of the long weekend. I was the only guest that day so it felt like I was a part of their family. 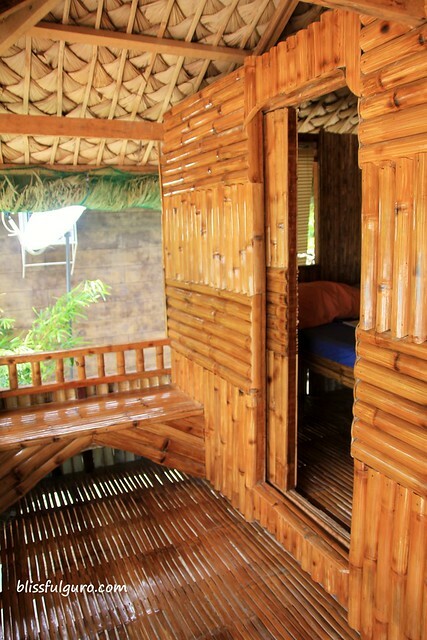 And then I went into my Nipa Hut. I got so excited because it reminded me of my younger days when me and my cousins would play in a hut like that in our province. 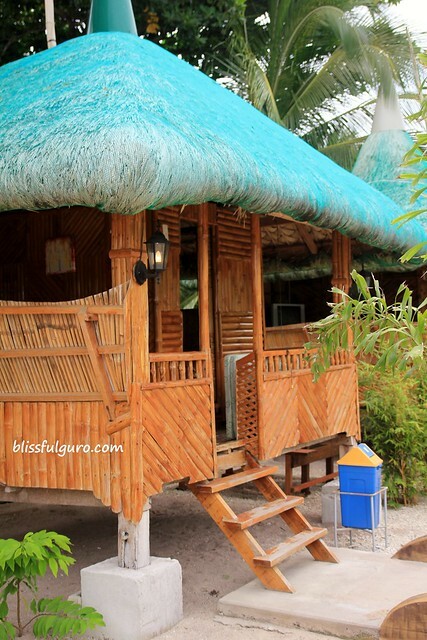 It's a typical nipa hut with 1 bedroom. There was a sitting area where you can watch TV. Oh how I love the bedroom. It was so tiny and cozy at the same time. I roughly measured it and it's about 1 meter by 1.5 meters. Just right for a double bed. There was also a ceiling fan installed. 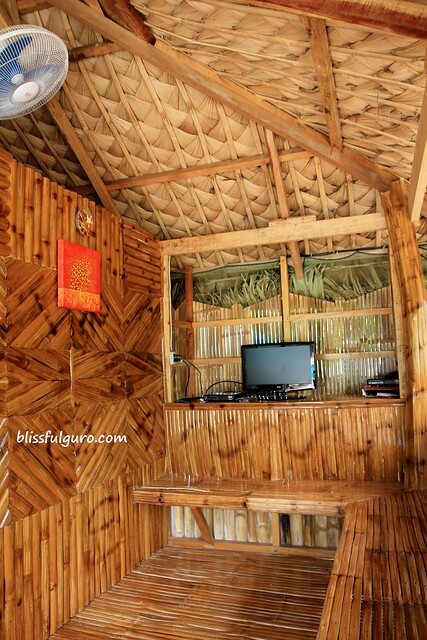 You wouldn't need an AC because it was cold at night and the breeze coming from the bamboo flooring helped a lot. There were no mosquitoes anywhere. There wasn't any padlock or whatever but I assure you that your stuff will be safe there (unless there were other guests). It was the perfect hut for me. The only downside I think was the shared bathroom. You need to go out of your hut if you suddenly feel the need to do so. And also, the electricity in the island was so erratic but the resort has its own generator set so that will not be a problem. As with the food, you can order from the kitchen ahead of time. They have fresh seafood everyday and you can have it grilled, stew or fried. As for me, they offered every single meal that they serve their family so even the meriendas were included - all for free. Woohoo! The perks of traveling alone. I stayed on my "porch" and read a book. After a while, and I didn't notice it, I fell into a deep sleep. My first "sleep" after spending 19 hours on the road - straight from my work. 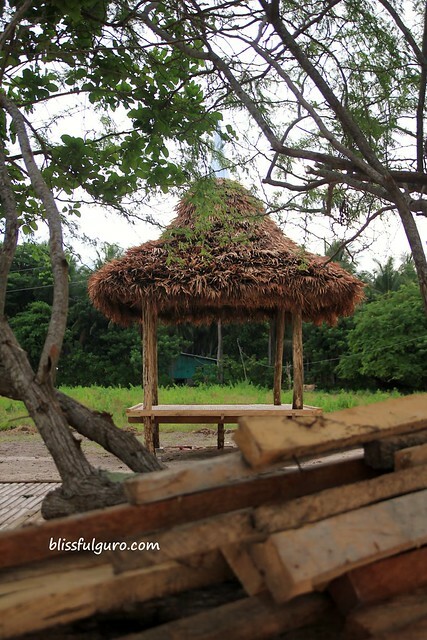 I was awakened by the sound of the waves and the cool afternoon breeze. It was nice. And then I realized, I need to go out and explore the island. So I changed into my swimsuits and went around the island. It was a very peaceful and untouched (on my perspective) island. It was quiet and I loved it. 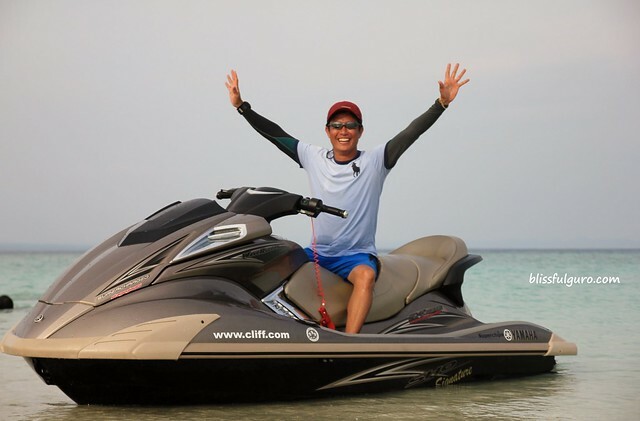 When I went back to the resort after a short walk, Sir Cliff (brother of Sir Clarence) invited me to ride the jetski. He wanted me to drive it but I refused. I'm prone to break things easily so I declined. We went for a ride around the island and showed me some improvements on the other side. There were some resorts being developed and that's a sign that this place will be a hit soon. 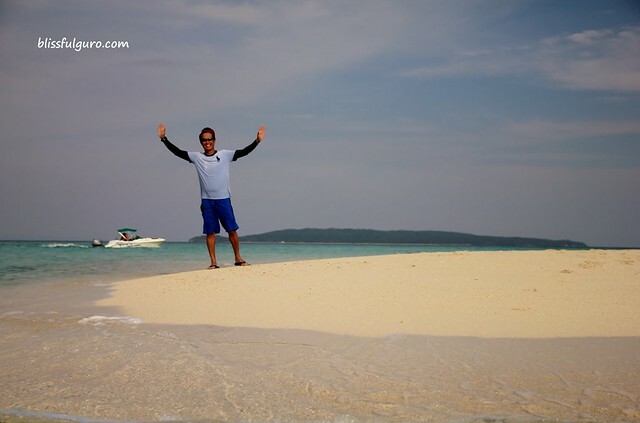 After the short ride, Sir Clarence invited me to join him and his kids to go to Palad sandbar. 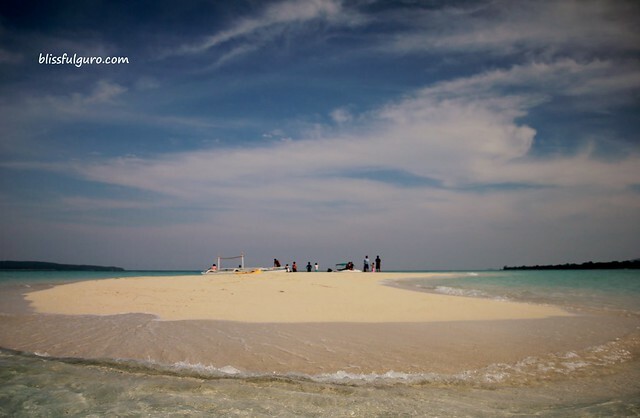 I didn't know that they have a sandbar there (biglaang lakad - walang naganap na research). 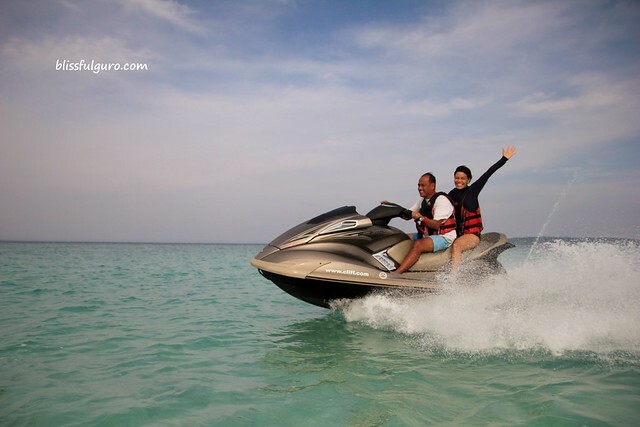 We went there with a jetski and a speed boat (sushal). 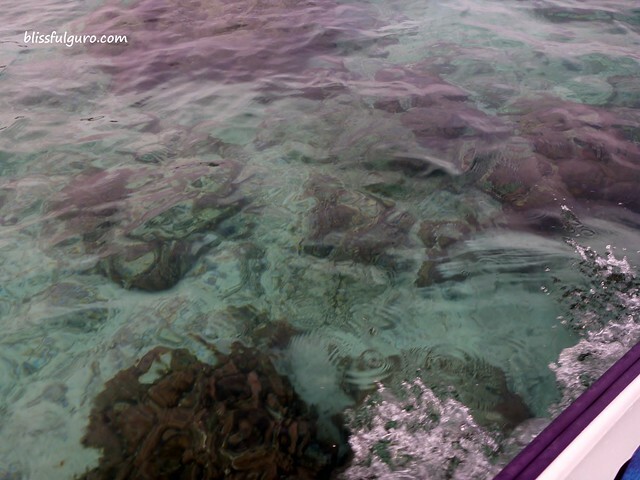 We passed by an area where there were coral reefs perfect for snorkeling. It was so clear that it can be seen from the boat. After almost 8 minutes, we arrived at the sandbar. And boy I was really happy! Good thing it was lowtide at that time so the sandbar appeared. I was running with the kids and we were enjoying the sand, sun and the sea. Perfect! And then without any notice, Sir Clarence took me for a ride in his jetski. He asked me if he can go fast and he did go fast! It was so fun! 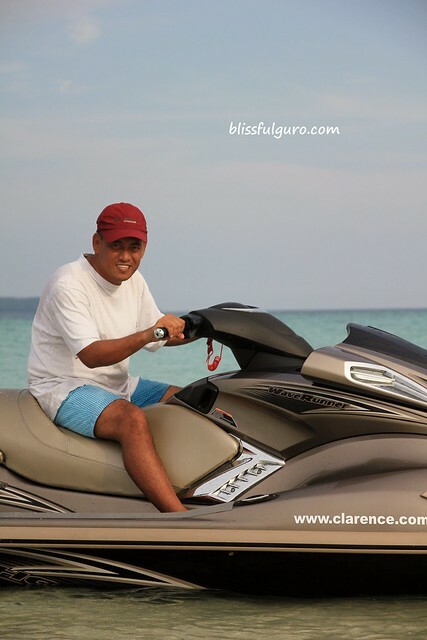 Sir Clarence was great in driving the jetski. Especially when he made his 360-degree turns. Amazing. A very talented guy. rash guard over my two-piece. takot sa araw? When we arrived at the resort after a good 1 hour at the sandbar, we were greeted by Ma'am Ester (Sir Clarence's wife) and gave us banana cue. 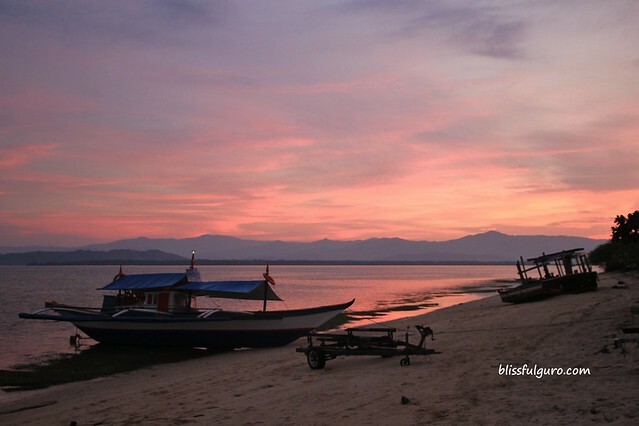 We chatted along the shore, on their sitting area there, with sunset on the background. It was great. I felt like I was part of the family. What's really nice about them is that you wouldn't feel intimidated when you're with them. They won't make you feel that you're "just" a guest but rather a part of their family. Right before dinner, we went to the pool and took a dip. 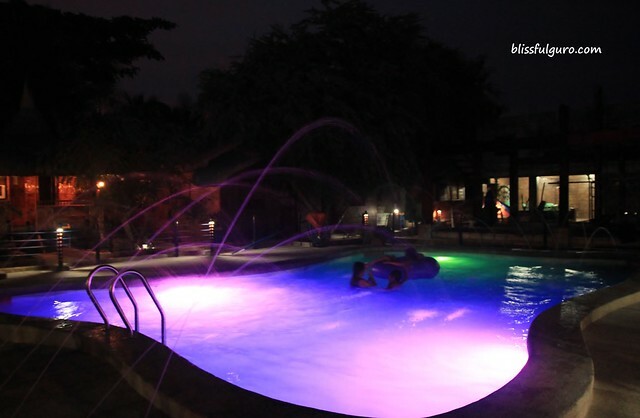 You can't resist it because of the amazing light show and the fountain from the pool. It was as if I was part of a show or something. Lovely. And what's for dinner? Grilled squids, fried fish and squids, fish sinigang, and lotsa fruits. Best of all, they didn't charge me for all the food I ate when I was there. I got everything for free. 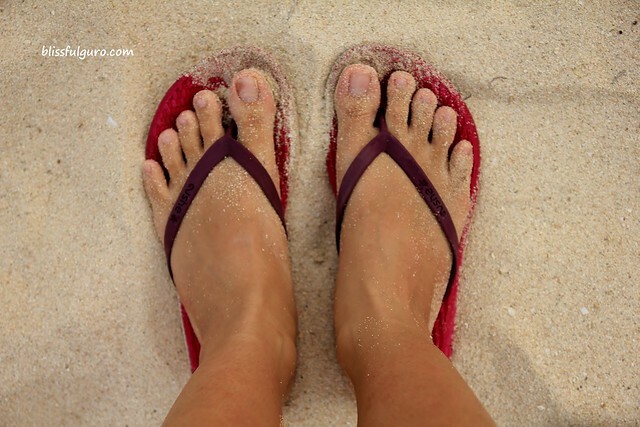 Even the Palad sandbar adventure, it was at no cost at all. Galing! I slept perfectly fine that night and was so glad I did. I woke up at around 5:30 a.m. I headed straight to the kitchen to ask for a hot drinking water (I have a stash of coffee when I travel) and Sir Clarence's parents were there having their coffee. I chatted for a while and they asked me to have breakfast with them, I told them that my morning coffee would suffice. I went to the beach again and waited for the sunrise. 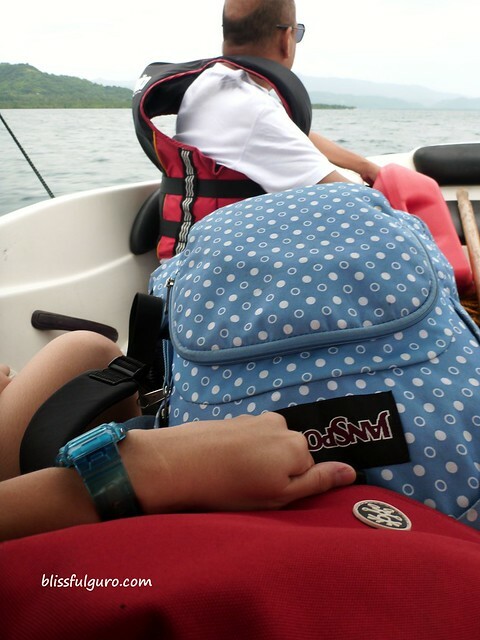 I fixed my stuff knowing that I need to catch the 7:00 a.m. boat to Buyabod port. 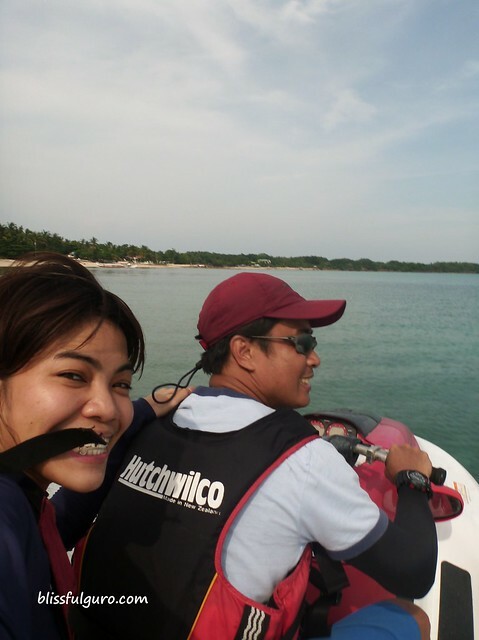 But when Sir Clarence saw me, he said that I need not rush because they were going to the town to buy some food and stuff so I might as well join them via the speedboat. And at around 8:00 a.m. I left the Maniwaya island with a happy heart. It was a fulfilling trip as it is but when you meet a family like them, you'd feel that you just need to come back - real soon. Again, thank you so much Sir Clarence, Ma'am Ester, Sir Cliff and family. Also with the staff of the resort. You made my first day at the Heart of the Philippines a very memorable one. palad sandbar was so amazing.... grbe lalo na yung pool na nga-iiba yung kulay ... nakapunat ka n din ba sa bellarocca? diba marinduque din yun? waahahaha! so eto pala yung sinasabi mo na matutuwa ako. infer, it made me really happy! somehow nakatulong naman pala ang blog posts ko. haha! but also unfer! 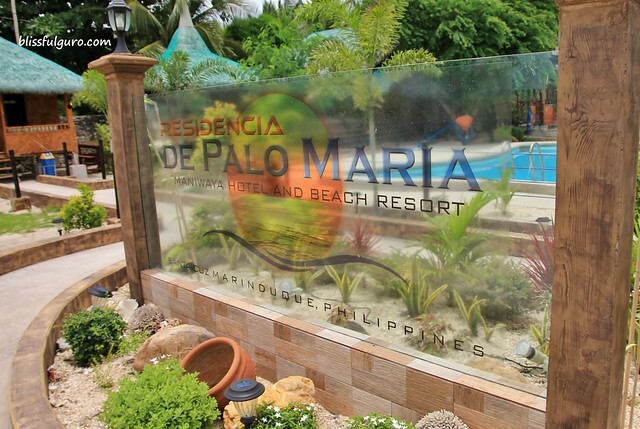 may ganyan palang resort sa maniwaya! haay the cons of being unprepared. but still, the island is truly one gem to discover. sama mo naman ako sa next na balik mo dun! :) looking forward to your next marinduque stories! lasingin mo muna ako manong bago ako umakyat ng bundok. haha. pero malay mo di ba? aaww, heartwarming solo trip. buti nalang tumuloy ka. ang ganda ng experience. chyng?! is dis u? haha. walang link pabalik eh..
hi ms blissfulguro, thanks for sharing this!... how much did you spend the whole tour? 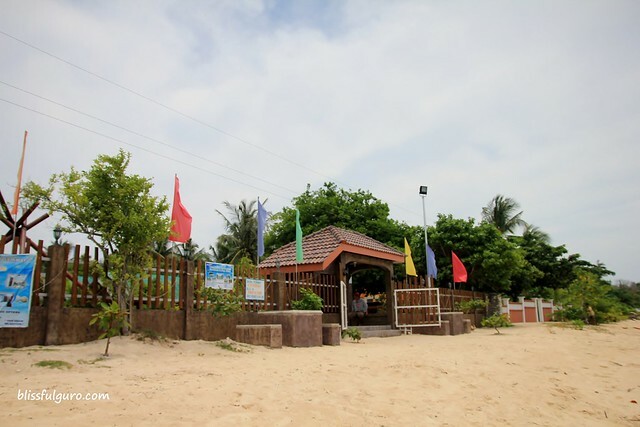 any more tourist spots in marinduque? hi ma'am! thank you for sharing this! next vacation dito po ako pupunta... ganda ng lugar! 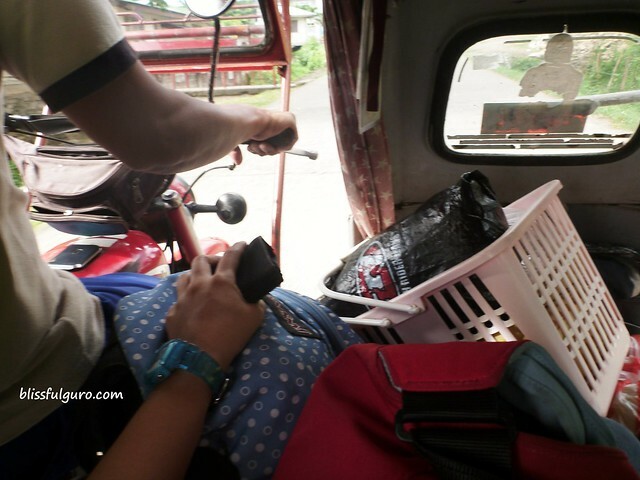 wow.. hameyzing it is.. hahaha.. nakakamiss ang magsolo travel.. congrats po..
Six passengers with their baggages inside a tricycle! Is that a common overloading practice in Pinas? Hindi ba hirap yung makina? Wow naman bagong discovery. Ikaw na talaga ang sumosolo ngayon. sayang hindi kita nabati. Congrats ng bonggang bongga sa first official solo trip mo! Proud of you! o ayan ha... nagbabasa ako. hahaha! Busy lang e. Iba talaga pag solo no? may awa factor ang mga tao. hihih! mark ko na to. at ako na talaga maricar! haha. infer nagbabasa ka na ng blog ko ha. hihihi. Hi there miss, this is very informative and helpful for weekend warrior traveler like myself.And dating a teacher with very strict schedule,i just have to take him away from this routine before he bury himself to the deep burrows of books and research for his thesis revisions and title defense....(even saying that is already stressful). We went to Residencia De Palo Maria, but we took the Gen. Luna route which is much easier by land. The only thing is that you have make sure to catch the ferry that leaves at 10:00 am to maniwaya island. Its cubao to Lucena central terminal. Lucena to Gen. luna (UV van 150php to Catanauan via Gen Luna), then tricycle (about 1.5km ride from crossing of Gen Luna 25php)to Mamaw beach where the ferry bound to Maniwaya 150php). 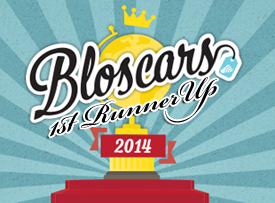 I do hope that this will help others that will be visiting the island viewing your blogspot. 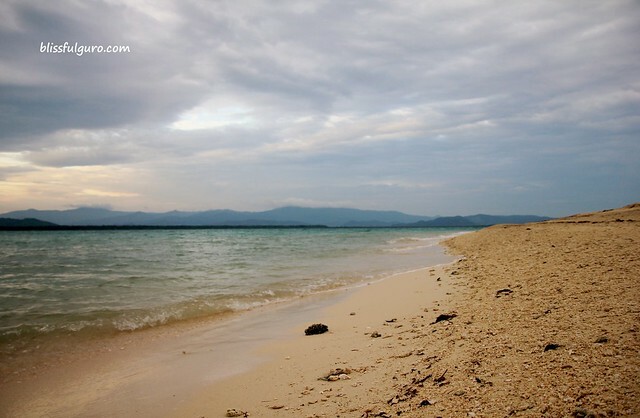 Also from here you can go to Bicol....as what we did we went to spend 2 days in Bicol squeezing in Caramoan Island. That will be Gen. Luna to Gumaca by jeep, then waited for a bus to Sabang (raymond bus lines non A/C 285php) or you can have any bound to Naga then a UV express to Sabang. 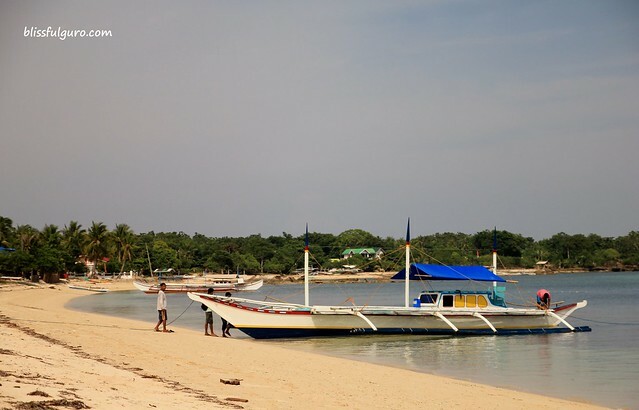 Then boat from Sabang to Guijalo port. I hope this helps other people visitng your blog. Godbless miss. hi phoenix! that's what sir clarence and his family used - the gen. luna. 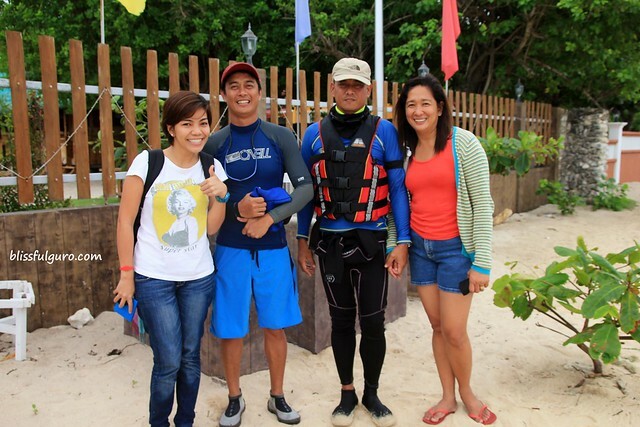 they used their speed boat and jet skis - ang bangis lang. thanks for this info. atleast there is an alternative. :) thanks phoenix! go! ang daling i-solo. infernes ang lapit sa romblon (sa mapa)... ako naman romblon gusto ko ryan!! magkano entrance fee ppuntang maniwaya island? Grabe ang galing! That's a lovely place and even lovelier people. Must go talaga! ang ganda naman. gusto ko din yung ganyan n nakakapunta sa hindi p masyadong crowded n lugar. minsan naman po isama no ko kahit ngaun nyo pa lang ako makikilala. 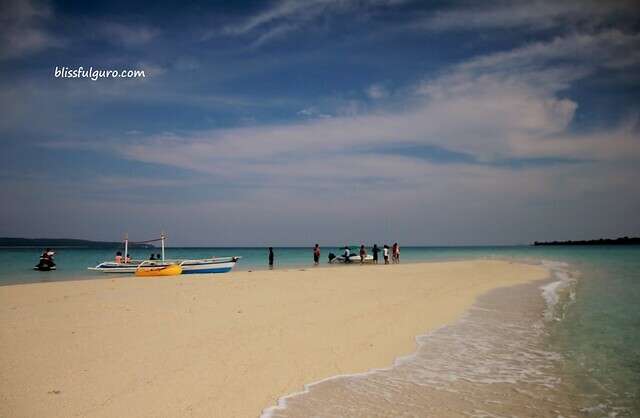 Hi blissfulguro....I'm planning to go at maniwaya island together with my family this April. My main concern is the boat ride from the Port to Maniwaya. Do they provide a lifevest? How many hours does it take to wait for the boat ride? Once on the island, I read in one blog that the water they use in the Hotel is the same salt water in the sea minus the sand, is this true? yup! thats why gusto nila magpunta for moriones :) sige ba tara!! 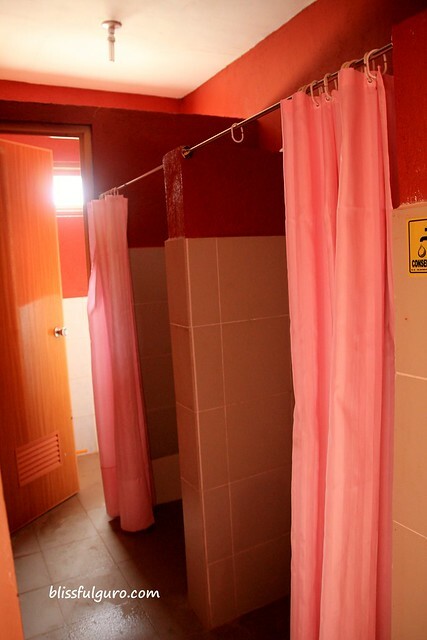 nakakainggit hlos libre lhat except sa accomodation.. hahahahah :) from marinduque also.. hahahaha :DD ang swerte ng byahe nyo po.. balik po ayo sa marindue. nkpunta po kayo ng poctoy white beach? hi ms. blissfulguru. 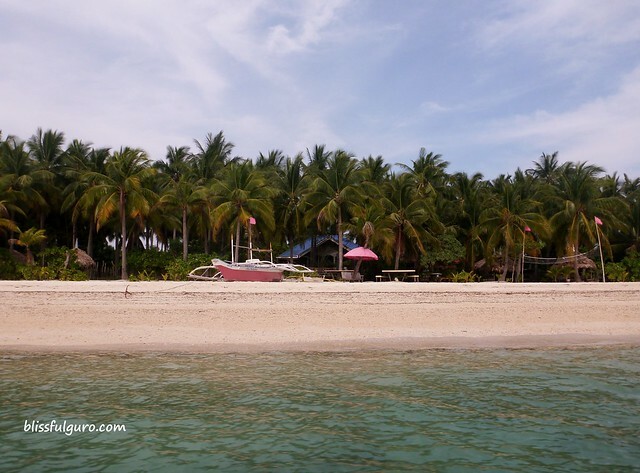 thanks for the beautiful review not only about the resort but the island of marinduque and the marinduquenos as well. by the way i am a marinduquena and im proud that we have this beautiful places in our province. 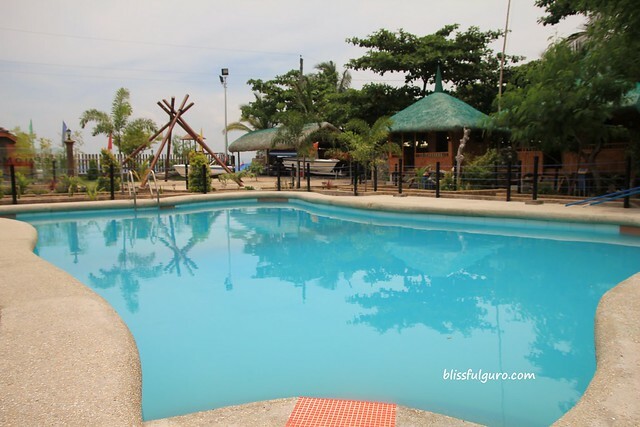 there are lots of others places to visit in marinduque...we also have hotspring in buenavista and i am proud to say that marinduquenos are really warm and hospitable. well, goodluck on you next trip and keep safe. Patanong naman po sana kung pave/asphalted na ang road from Port Balanican to Port Buyabod? hello there! Is there any possible camping sites there? me and my friends kasi always do camping lang. thanks in advance. Hi there Sophia. I think camping is allowed naman. The problem is source of water. Hindi lahat ng area may deep well. Hi Ma'am Ask ko po sana kung if ever mag check in kami sa resort pwede ba nila kami iprovide ng boat going to sand bar mong pong beach? Kasi nag paplan kami this coming june like nmin puntahan ung syempre maniwaya island, poctoy beach , palad sand bar , mongpong island t ungab rock formation. Maniwaya's hospitality is simply the best! I can bet on that. Generous host. I'd suggest trying different resorts. Maniwaya are full of warm and happy people. Best date to go is fiesta, around 2nd/3rd week of January.